(HS097-02) (Quick sale) Singel storey house for sale with beautiful garden in Doi Saket. (HS146-03) Beautiful modern house with paddy fields panorama. (HS175-04) House and restaurant for Sale near Grand Canyon Hang Dong. (HS169-02) Beautiful well built house with huge workshop/garage and staff/guest bungalow. (HS160-06) Brand new luxurious villa in a prime location. (HS124-09) Modern house for sale fully furnished on a large hillside area. (HS210-04) 2 storey house for sale in the project of JC Garden Ville San Na Meng, San Sai. (HS220-03) Beautiful house in a gated community. The Laguna Home next to the 3rd Ring Road, San Sai. 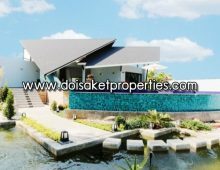 (HS219-04) Modern riverfront residence in prime location in San Pu Loei, Doi Saket. 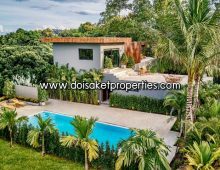 (HS225-03) Beautiful European style house for sale with a private swimming pool, San Pa Pao, San Sai. (HS226-04) Quick Sale! Beautiful 2 storey house, good location near Kad Farang, Hang Dong, Chiang Mai. (HS164-06) Lovely Two Story Home perfect for a big family.